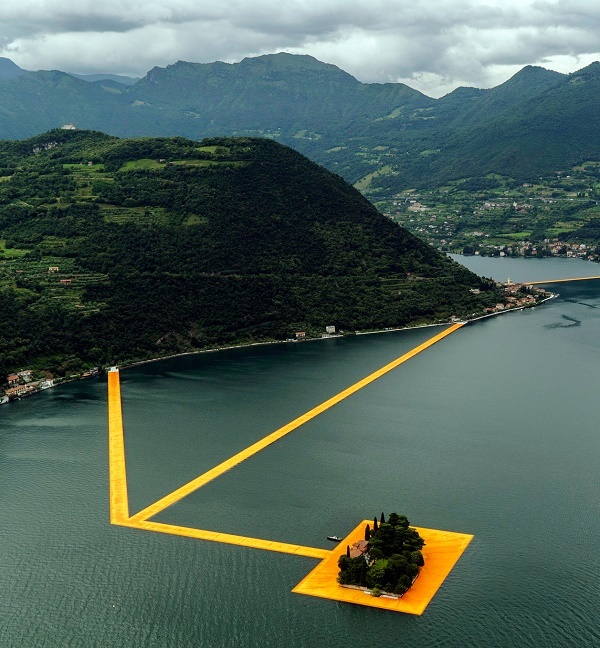 Have you heard of this new mind-blowing outdoor installation in Italy? 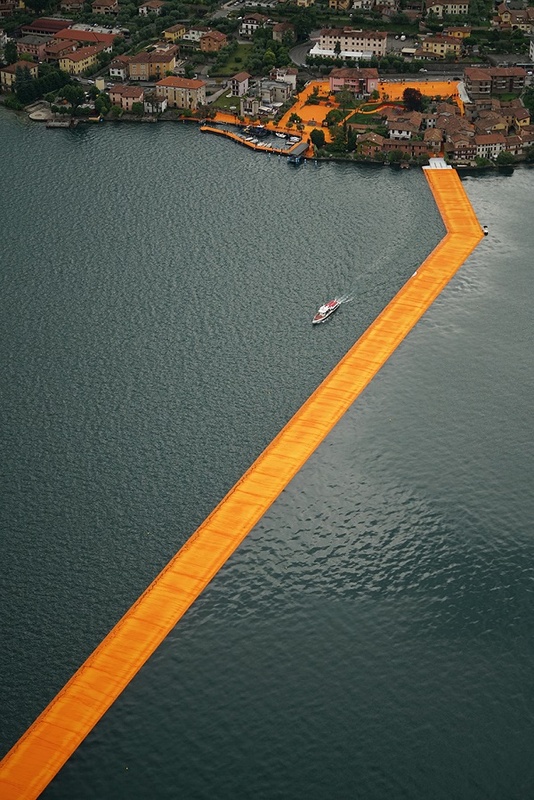 Just a few days ago, on June 18th this mega floating piers project by Christo was opened to the public. 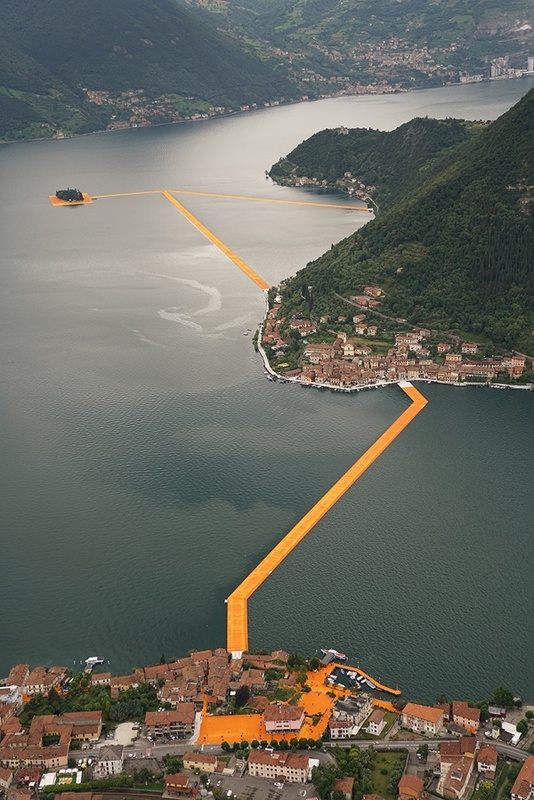 Anyone can take a 100,000 square meters walk on land and on water to visit various points on Italy’s Lake Iseo in the Lombardy region. 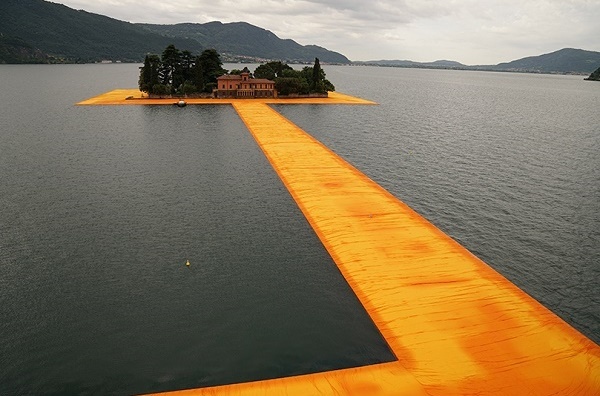 The path goes from Sulzano to Monte Isola and the island of San Paolo. 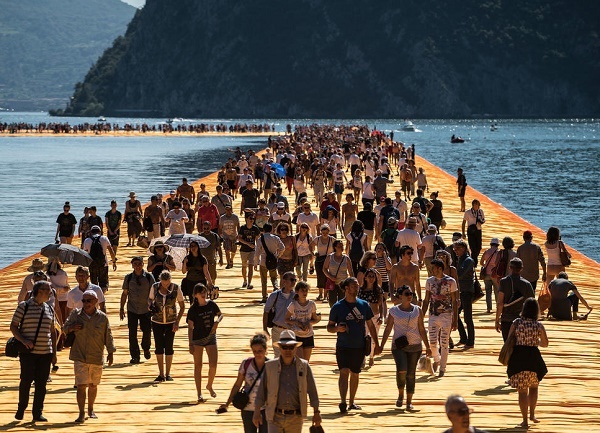 The incredible water-crossing allows people to feel the movement of the waves while enjoying the stunning surrounding landscape. And if that’s not amazing enough, this gem is totally free of charge and accessible 24 hours a day to anyone who fancies a dash of coolness. The New York Times ran a great article about it, if you fancy knowing more. 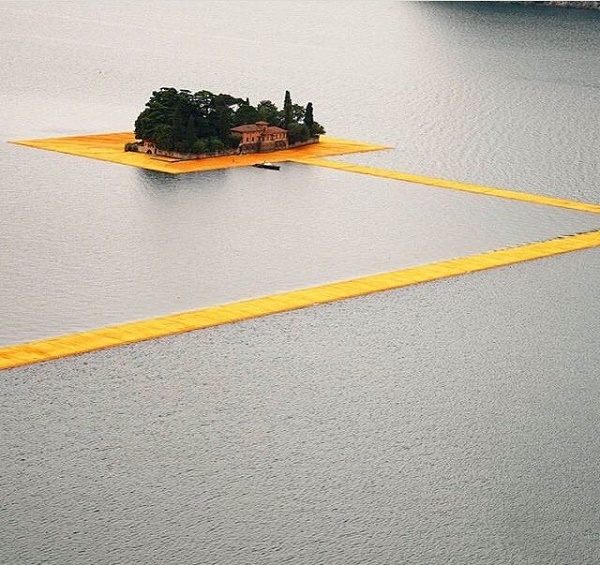 P:S: Plus this spot in Italy. P.P.S: And tons more travel lust.